The work of Chinese artist Ai Weiwei encompasses a staggering collection of methods and materials including sculpture, installation, photography, curation, and activism. His conceptual approach to form-making is satisfying both intellectually and aesthetically. No easy feat for an artist practicing in a zone that tends to favor intellectual rigor over visual pleasure. 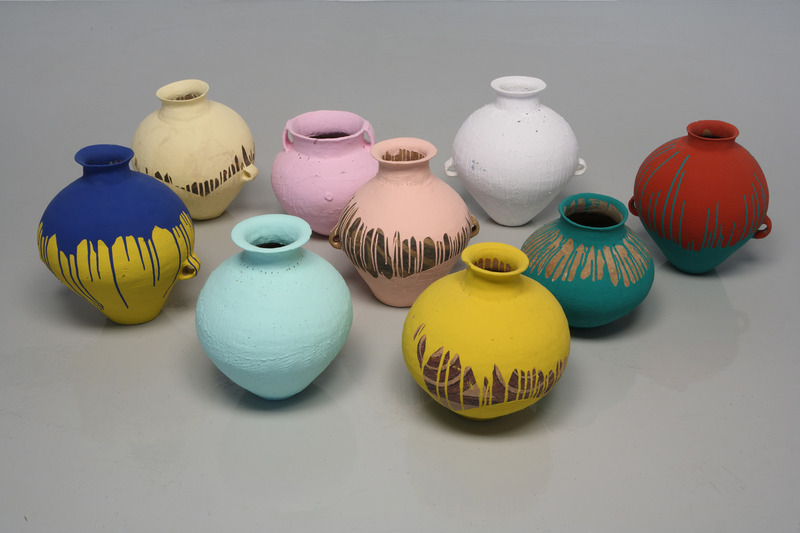 “Colored Vases” (2006) exploits both tendencies and plays them to the hilt. The work feels like a celebration of making, reveling in the application of gloriously luscious candy-colored pigments that ooze over rough-hewn, earthen pots. 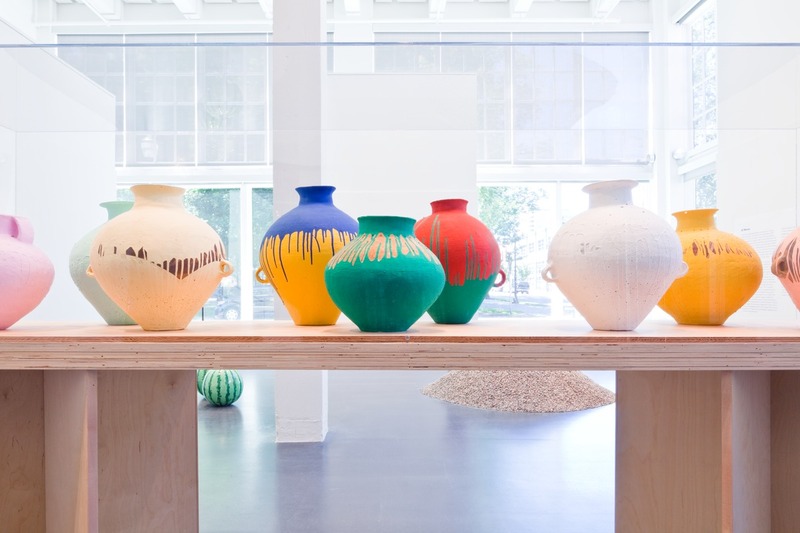 That is, until it’s revealed that Weiwei achieved the effect by dousing ancient Han Dynasty pots in industrial grade paint. What exactly is the artist implying? Does the weight of his argument make the forms any less beautiful? 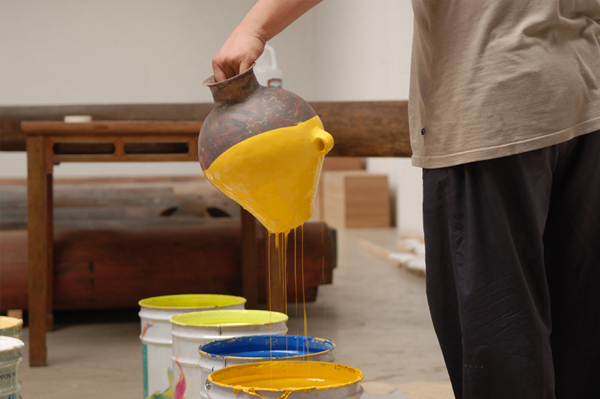 By acting in the gap between the head and the hand (much like Robert Rauschenberg acted “in that gap between art and life”) Weiwei produces work that exploits mental and physical pleasures, creating pieces that linger in the mind well after they’ve been seen.